This is Charlotte Bayley Schindelholz’s second winter in Aiken, and she’s here to stay. 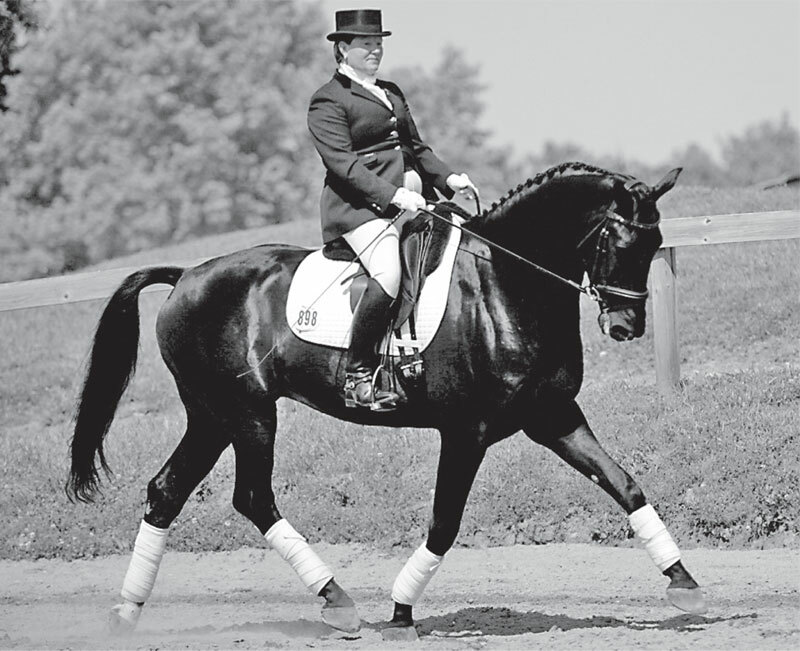 Last winter, the Ohio-based dressage trainer worked out of a small private barn near Wagener. This past fall she leased the barn at the Ridge at Chukker Creek through her long-time friend Chris Taylor, also a dressage trainer. After spending the holidays in Ohio, she is back at Chukker Creek with her entourage of 15 horses, and plans to stay until early May. Charlotte Bayley was born in Parkersburg, West Virginia, minutes away from Meredith Manor International Equestrian Centre, the first college in the country to offer a degree in equestrian studies. From the time she was 5 years old until she was 17, Charlotte boarded her horse with Kay Meredith, who founded the school. There, she grew up riding under the most famous names in the equestrian world, although at the time she didn’t quite appreciate how lucky she was. Among her early teachers were Colonel Bengt Lundqvist of Sweden, who was the coach of the U.S. Olympic dressage team, Melle Van Bruggan, a Swiss dressage champion and later U.S. coach, and Chuck Grant, a 1997 inductee into the United States Dressage Federation Hall of Fame, who introduced dressage to the Midwest just after World War II. At Lake Erie College in Painesville, Ohio, Charlotte rode with Jean Froissard, who taught the classical French style of riding as guest artist in residence. Later, she rode with David Hunt of Great Britain and got more international experience under Major Anders Lindgren of Sweden and Major Miguel Tavora, who is a master of Portuguese traditional equitation. While she was teaching riding at Lake Erie College, she had a student named Donald Schindelholz. “We were not allowed to date the students we were instructing, so I stopped giving him lessons so I could marry him,” she admits. Charlotte and Don stayed in the Cleveland area and eventually built their own place, Maple Star Farm. Besides having his own career as a marketing representative for a major corporation, Don keeps the business side of the barn going, including taking care of the bookkeeping. Charlotte (or is it Don the businessman?) recognizes that the disadvantages probably outweigh the advantages of having two large facilities, so an Aiken full time barn will depend on the Ohio real estate market. In any case, the Schindelholzes will be here from November to May, depending on Charlotte’s clinic, training and showing dates and the demanding travel schedule of her busy import business. Currently, Charlotte is training and showing a 5-year old Hanoverian to ready him for the United States Dressage Federation Five Year Old Developing Horse Championship. She’s also working with a Fourth Level Dutch Warmblood, a Fourth Level Friesian stallion, a Prix St. Georges-level Belgian Warmblood stallion and a 3-year old Friesian- Arabian cross. Charlotte prefers to give three-day clinics once a month in a location and wrap at least one clinic around a horse show so she can be a coach through the show. It does no good to go in once, give instruction, then leave, she says. As for what students should take away from Charlotte’s instruction, she describes herself as student-centered in her approach. “My job is to make riding more rewarding, make it a good experience and to be successful. It doesn’t have to be hard, it can be a simple process,” she insists. “I want to improve students’ riding by giving them a system that gives them more confidence to know how to go forward. Riders need to know the exercises to work on at home, how to find their goals, how to practice with their own coach. Charlotte can be reached at 216-337-8045 to arrange for lessons. For more information, go to her website: www.csbdressage.net.